Add a little sunshine to those April showers by picking up some fresh new dies at 20% off!!! Sunday through Tuesday, use the code springdies18 to take 20% off all dies! Coupon codes cannot be combined and are valid on in-stock items only. Not good on previous purchases. Sale ends April 17th, 2018 at 11:59PM PDT. Announcing the Winners of the 11th Anniversary Blog Hop! Thank you all so much for the love and warm fuzzies last week during the hops to celebrate our 11th Anniversary! We can't tell you how much we appreciate the time you took to share kind words with us and our talented hoppers! $100 code for Jackie Parkins who left this sweet comment on Emily Leiphart's blog, "Awwww, that little bear holding a cute kitten! It's so sweet." We love that bear too and Emily's awesome card! $100 code for Kirsty Vittetoe who told Elena Roussakis that her card was "Fun and fabulous!" which is the perfect description for Elena & her card! $50 code for Kdennison who commented on Amy Tsuruta's blog, "Great sentiment focus with the leading lady card! Fabulous creations ... thanks for inspiring." Amy inspires us with her fabulous creations too! Jackie, Kirsty, K & Julie...please emails us at purchasing@ellenhutson.com so we can give you your prize! 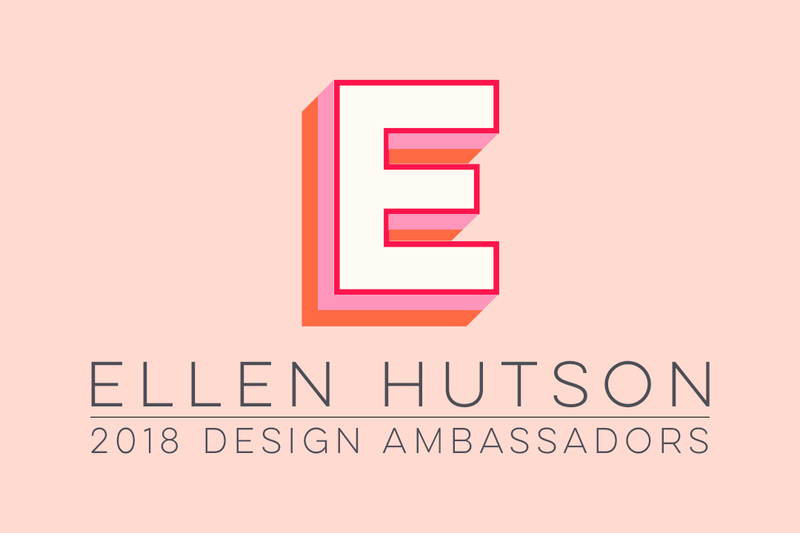 And don't forget that you can still show us your favorite Essentials by Ellen for a chance to win $50 gift code to the EH store. See all the details here. *Discount is not applicable to new Mama Elephant products (released in the last 90 days) and the BCRF fundraiser set. Coupon codes cannot be combined and are valid on in-stock items only. Not good on previous purchases. Sale ends November 27th, 2017 at 11:59PM PDT. LINK: Watch in HD on our YouTube Channel HERE. Thanks for giving us a thumbs' up and for subscribing to our channel! Hope you enjoyed this in depth look at these two new sets! I can't wait to see what you do with them! If you share on Instagram, please hashtag your creations with #essentialsbyellen and tag me with @jaebersole ! As you can see, I have a few fun stamps & dies for the September/Holiday 2017 Essentials by Ellen Release! I absolutely adore 2-step style stamp sets, and had so much fun creating the clean and simple elements in Modern Christmas that could be used separately or layered together in fun combinations! I hope you've enjoyed taking a closer look at my new sets and have a blast creating your holiday projects with them during the upcoming season! This week we are celebrating one of the most important, most versatile and most colorful stamping tools...ink! We love all kinds of ink so we are celebrating with 15% off everything in the ink category and fun projects from our CLASSroom designers! Do you want to know more about embossing? Or do you love it but want to learn some new techniques? We can help! Check out our CLASSroom posts all week! Celebrate the women in your life - mothers, sisters, friends - and celebrate yourself too, with a gift from us! Sunday through Tuesday, use the code momsday17 to take 20% off your order! Coupon codes cannot be combined and are valid on in-stock items only. Not good on previous purchases. Sale ends May 16th, 2017 at 11:59PM PDT. We consider Paulina & her lovely Pretty Pink Posh products, a dear part of our Ellen Hutson LLC family! Paulina's kind heart is evident in everything she does and in her products too! Join us this week in The CLASSroom as we play with Pretty Pink Posh sequins, stamps & dies! Each day we will have fresh inspiration and we have some super savings for you! Get 15% off all in-stock Pretty Pink Posh! Chaitali and Julie, THANK YOU from the bottom of my heart! This has been a labor of love and the commitment these ladies have shown this project is appreciated SO VERY much. As Julie would say "MONDO SQUISHY HUGS" to you both AND to ALL those who are joining us today as we hope to make a difference - United We Conquer! In honor of three amazing mothers, each of whom have been directly impacted by breast cancer, Chaitali, Julie and I, teamed up to find a way that we could make a difference and honor these very special women in our lives. Seeking a way to actively contribute to finding a cure for the disease, we have created the Courage Stamp & Die Set. We selected the Breast Cancer Research Foundation because of the contribution they make to research. 91 cents of every dollar goes directly to research - that's huge!!! It is research that is going to bring about the change we need to achieve a future beyond breast cancer. My mom had a quiet courage. While caring for her after her mastectomy I admired her will to survive and was so thrilled when the words "you are cancer free" were uttered. Sadly, ours is one of those stories where it came back, and this time with a vengeance that was a battle she couldn't beat. The memories and love she provided live on in our memories! Mom had the most stunning flower garden! Julie and Chaitali did such a beautiful job creating the "garden" for our stamp set. We shared sentiments and ideas as we worked to create a set that could be used by many to cheer on those who need a message of encouragement. I am so very thrilled that this stamp set can be used for so many occasions, in addition to breast cancer. BUT today we focus on sharing ideas how you can use this set to make a difference in the lives of those who are suffering from breast cancer. My sister, Betty, and I honor our mom with the cards we are sharing in this post. When Mom and Betty would come to my house for a visit we would sit together and create the thank you notes that go in your orders. We would sit and chatter and laugh as we worked. I look at this photo and smile (and perhaps get a bit teary eyed as well) remembering that day! I asked for a "mondo" ribbon in the Courage set, large enough to cover in flowers! Mission accomplished :) I hope to someday soon share a tutorial showing how to easily stamp the many layers of flowers with precision. For now click here to download a PDF layering guide for help with the stamp layering. In mom's garden were the most stunning "fluffy" poppies. Betty created an entire series of cards in the poppy colors. That sis of mine is uber-talented you can follow her on Instagram! Thank you for allowing me to share your gorgeous cards here today Betty! BUT even more THANK YOU for always being there for mom. Thank you for being here for me - I love you! No one can imagine the impact of the words "it's cancer" until you hear them from one of those closest to you. Let's protect our daughters, friends, mothers, and the men in our lives, so that we don't ever have to hear those words spoken to us again - we need to work together to try and help. We need to help change that devastating number - "one in eight." We need to help provide researchers every opportunity to find a cure! "Courage does not always roar. Sometimes it is the quiet voice at the end of the day saying, I will try again tomorrow." To all those reading this fighting your own battle right now, be it breast cancer, cancer of another variety, depression or anxiety - know you are loved! Together we can be the end! Please join us today and help us support the Breast Cancer Research Foundation! stamp for a cure - purchase the Courage Stamp & Die Set - $25 from the purchase price of each set will be donated to the Breast Cancer Research Foundation. create to share your love and support. Now go hop and enjoy the beautiful inspiration shared by an incredibly talented group of designers! THANK YOU for your support! In honor of three amazing mothers, each of whom have been directly impacted by breast cancer, Chaitali, Julie and Ellen, teamed up to find a way that they could make a difference and honor these very special women in their lives. Seeking a way to actively contribute to finding a cure for the disease, they have created the Courage Stamp & Die Set. We would also like to thank Mary Anne Radmacher, author of "Courage Does Not Roar, for allowing us to share her beautiful words with you in this stamp set. will be donated to the Breast Cancer Research Foundation. Donate, stamp, share, create—there are many ways you can contribute! Visit the Ellen Hutson BCRF fundraiser page to find out how and to follow our progress. Please join Ellen as she shares a thank you and a tribute to her mom in a second post here in the CLASSroom today. When we were first introduced to Nuvo Embellishment Mousse by Tonic, we were intrigued. Now that we have used it, we are in love! Nuvo Mousses have so many uses and we are excited to share them with you all week long! Treat yourself to mousse or other in-stock Tonic products for 15% off! everything you want, ALL on sale! Discount will be deducted from your order at checkout. Order total is the total amount before shipping and taxes are applied. Offer good on in-stock items only. Not good on previous purchases. Sale end April 17th, 2017 at 11:59PM PDT. Please note, we anticipate that the number of orders from our Buy More! Save More! sale will alter our quick shipping time so please anticipate that your order may take up to a week to ship. And please understand that we will not be able to combine orders. We have bunches of colored pencils arriving at Ellen Hutson LLC this spring and we think they are practically perfect in every way! This week we will have fresh colored pencil inspiration for you each day as well as some of our favorite colored pencil tips! And all in-stock pencils are 15% off! Does anyone really need to wash their windows? And cereal makes a great dinner right?! LOL! So let's skip the cleaning this weekend and go shopping! Take advantage of an awesome 25% off the items in our Spring Cleaning category until Monday April 3rd. Hey, everybody! A few of us at ellenhutson.com ventured down to Phoenix, AZ for Creativation, the annual trade show to the craft and hobby industry. The show was formerly called CHA (previously held in Anaheim, CA), in reference to the "Craft & Hobby Association", which serves craft and hobby manufacturers, retailers and professionals to the industry. The organization itself has also been renamed the Association For Craft Industry. We honestly love SO much of what we see, that it is hard to narrow it down to just 10! Nonetheless, here are our top 10 picks, in no particular order, of Creativation 2017! LINK: Watch in HD on our YouTube Channel HERE. Thanks for giving us a thumbs' up, watching and subscribing! These products and so much more are going to be rolling into the shop soon! Did you see anything that made you do a little happy dance? We'd love to know! Meantime, this upcoming week here on the CLASSroom, we're going to be sharing MISTI projects and techniques so beginning Monday, stop back by for some great tips and ideas! Ellen Hutson LLC is celebrating our 10th anniversary and we have anniversary gifts for you! We believe that United We Flourish so we've partnered with some amazing companies to create some exciting giveaways for you! Winnie & Walter - New to EH this year, we love the fun stamps by Winnie & Walter and we love their sweet owner Shay! Honey Bee Stamps - Another company new to EH in 2016, we adore the beautiful stamps & dies from Honey Bee and we think their owner Melissa and the whole HB team is so sweet & kind! Memory Box Company - A long-time part of our store since 2007, Memory Box has a wonderful collection of classic stamp & die designs! Art Impressions - Joining our store this year, we love the sense of humor Art Impressions stamps have! My Favorite Things - MFT has been knocking our socks off since 2012 with their adorable stamps, dies, patterned paper & stencils! Pretty Pink Posh - We have been adding sparkle with Pretty Pink Posh since 2014! Not only do we love, love, love PPP products but we adore their owner Paulina! One lucky person is going to receive all of this amazing stuff! All you have to do is help us celebrate our amazing partner companies by telling us what you love about them! Leave a comment here by Saturday, December 3rd for a chance to win and please make sure to come back each day to spread the love with our designers during this week. Taylored Expressions has all the products covered! Their cardstock is a beautiful #100 weight with coordinating ink colors. You will find sequins, felt and patterned paper that also coordinates! If you like to take the guesswork out of your color coordination this is the line for you! We would like to invite you to experiment with it and offer you this special 15% discount through November 12th - NO coupon code needed! Enjoy savings of 10% on all We R Memory Keepers in-stock products through October 1st! No coupon code needed - simply add to your cart and you can see the discount on the cart page! As well one lucky randomly selected person will have the opportunity to win a Fuse tool + decorative tips! Head over to our Instagram account and follow the directions there for how to enter. Altenew is known for their elegant designs showcasing classic looks in a contemporary fashion. We are excited to be showcasing their line of products this week here in the CLASSroom. Please join us on Tuesday for a special Challenge and don't forget to take advantage of our special savings on all in-stock Altenew products through Wednesday, September 14th! on August 22nd at 3:36am said "love these stamps and dies see so much in them. love your team and congrats on your new set." Kristie Goulet Mary Nelson on August 16th at 10:54am said “I really love your creative style! Your cards are always so classy and beautiful! Thank you for sharing your incredible creations, Kristie! Thank you so much for the enthusiastic response to our Essentials by Ellen Summer 2016 Release! We could not be more thrilled to know you like them!!! Welcome to the Essentials by Ellen Late Summer 2016 Release Blog Hop! We've included our take on the ever-trending pineapple with "Stay Golden", and have expanded our popular Mondo floral series with: The "Mondo Peony". There is also a complimenting greeting set, "Lovely", that will work wonderfully with any of the florals in our Mondo series. Full of happy-go-lucky charm and all-around adorable-ness is "Sock Monkey Surprise", by friend and new artist Kimberly Wiener! You can put him up to all kinds of shenanigans to brighten someone's day! The new "Sunshine Words" offer two types of lettering, depending on your mood, and last, but certainly not least, our new "Stitching Lines" die set features a variety of classic yet versatile embroidery stitch patterns, and at 6" long, they will easily span the length of a standard A-2 card. For a chance to win the whole she-bang, just leave a comment on this post by Tuesday, August 23rd. And, each participating designer in our hop is also giving away the choice of any Essentials by Ellen stamp set in stock (maximum value $25 USD), so leave them some comment love by Tuesday, August 23rd. All relaxed, with a nice, tall, cool sumpin'-sumpin' to sip? FEAST THOSE EYEBALLS ON THESE BEAUTIES!!! Join us this week as our design team features felt in all it's scrumptious glory! Head over to our store and save on all of our in-stock felts! No coupon needed, simply add to your cart and you will see the discount at checkout on all valid items! Enjoy! Pinterest Challenge - ends at midnight tonight - you could win a $50 shopping spree in our store! We are excited to bring you a series of special posts this week! Shay from Winnie & Walter has hosted a very special series called "Share the Love Week" since 2014 and we were invited to play along with them this week! Please join in the fun and play along with us in the five challenges Shay has put together. Look for this special event on Winnie & Walter's blog and below here in the CLASSroom. Link up your projects for a chance to win some awesome prizes in both locations! In addition we are thrilled to offer you a special discount for the next six days on both the Winnie & Walter and the Essentials by Ellen products in our store! (no coupon needed - valid on in-stock items only) Simply add these items to your cart to see the discounted price :) Thank you for joining us for this special week!